Ingredients: 15% sugar, 12% milk fat, and total solids of 39%. 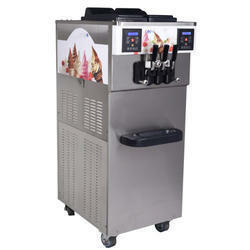 These Ice Cream Making Machine can be availed in both customized and standard forms as per the requirement. Mr. Gelato 25, a perfect blend of advance technology and excellent performance. It produces premium quality Ice cream and sorbet with natural fruit base. - User friendly functions and easy operation and maintenance. - Fully automatic floor standing machine with a capacity of more than 25 Ltr./hr. - Stylish & compact look. Spaceman Ice cream machines are widely been used by the major chains like, KFC, McDonald, Burger King etc..
We can provide the ice cream machine with their recipe. With a Taylor freezer, it is easy to make soft serve ice cream and frozen yoghurt. 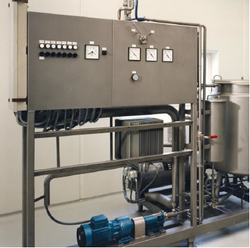 Add the pre-mix from your chosen dairy or supplier, freeze it down and in few minutes you are ready to serve.Taylor's state-of-the-art technology produces consistent quality draw after draw.Choice from a range of floor models, counter top units, dual flavour models with twist capabilities in varying capacities.